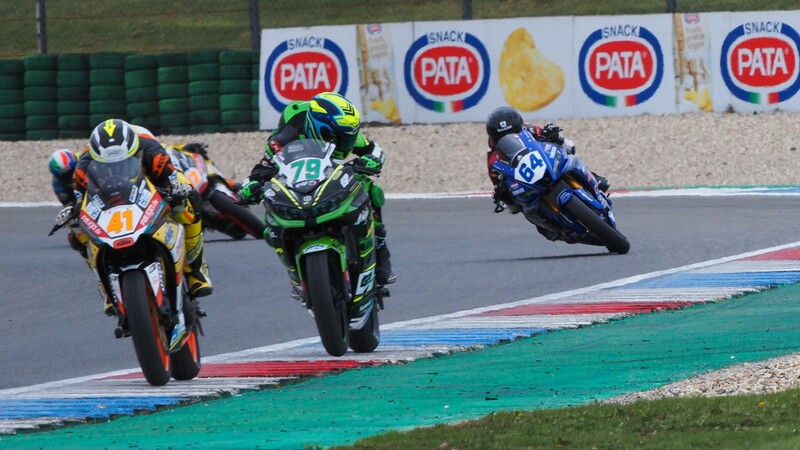 As weather conditions continued to plague proceedings in Assen, it was the turn of the WorldSSP300 class to take to the circuit. With the split group format, the class provided an exciting spectacle on Saturday afternoon, as Galang Hendra Pratama (Semakin Di Depan Biblion Motoxracing) took pole position from Group A, giving Indonesia their third WorldSSP300 pole position. Galang Hendra Pratama took the pole position in a flurry of activity in the middle of the session, in the optimum weather conditions as rain came and went through the 25-minute stint. 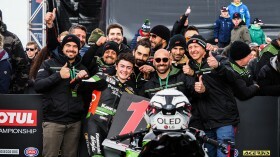 Joining him on the front row, Aragon race winner Manuel Gonzalez (Kawasaki ParkinGO Team) was second, looking to launch his attack for a second career victory from a good starting position. Completing the front row is Mika Perez (Scuderia Maranga Racing). 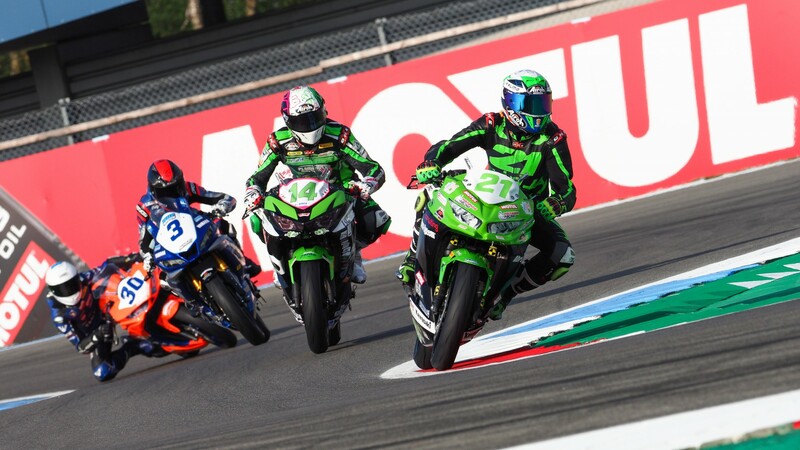 Continuing to impress in the 2019 World Supersport 300 class was Hugo De Cancellis (Team Trasimeno), who was fourth. The Frenchman will be looking for another podium from the front of row two, whilst teammate Omar Bonoli vastly improved to fifth position on the grid, as the 17-year-old took his best qualifying position of the year. Completing the front row is the first rider from Group B, home-hero, Scott Deroue (Kawasaki MOTOPORT). He will be looking to put on a good show for his home fans. Row three features Ukrainian rider Nick Kalinin from Group A (Nutec – RT Motorsports by SKM – Kawasaki), who finished ahead of Jan-Ole Jahnig (KTM Freudenberg Junior Team) in eighth and then Borja Sanchez (Scuderia Maranga Racing) in ninth. 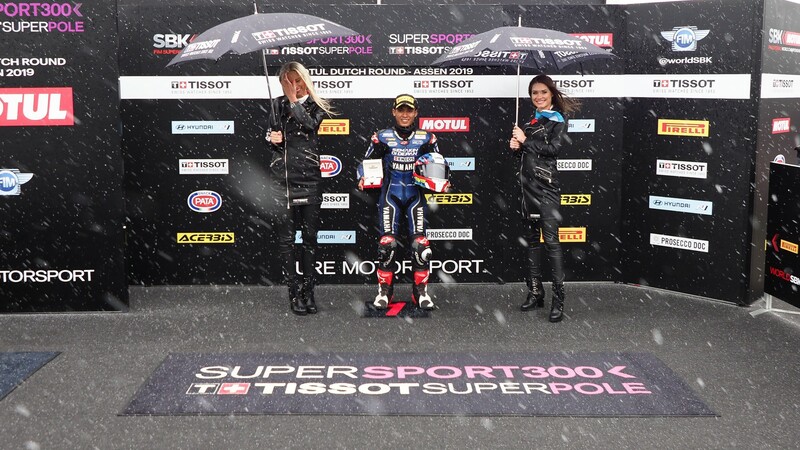 Rounding out the top then was reigning champion, Ana Carrasco (Kawasaki Provec WorldSSP300). 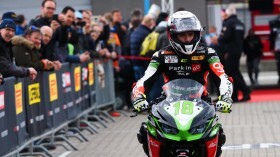 Watch all of the action from the Motul Dutch Round with the WorldSBK VideoPass!